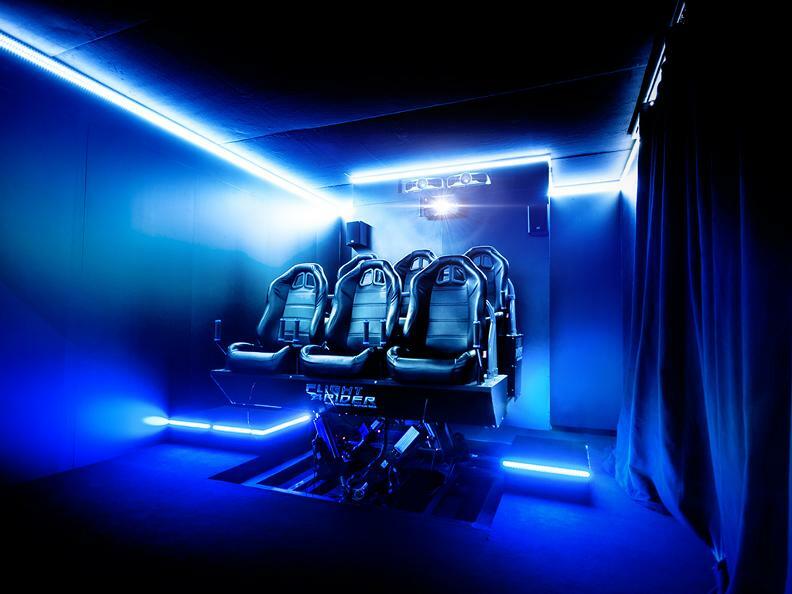 Get ready for an overwhelming virtual reality experience with incredibly stunning visual effects and 360° audio that catapults you and your friends into virtual worlds that are more realistic than anything you can imagine. Become a space pirate and save the world from extraterrestrial invaders. Unleash your creativity with three-dimensional brushstrokes. Balance 160 meters up in the air on a wooden plank or become a Formula 1 driver. 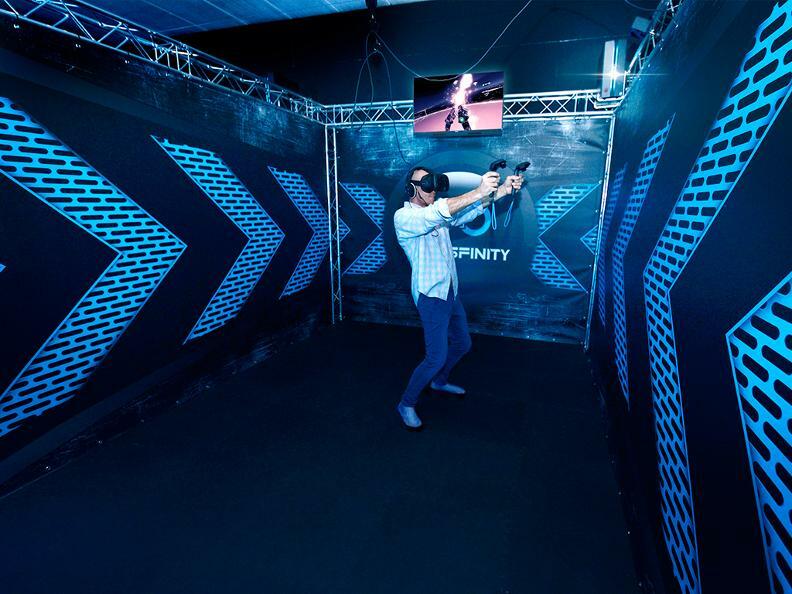 Experience virtual reality in its purest form. 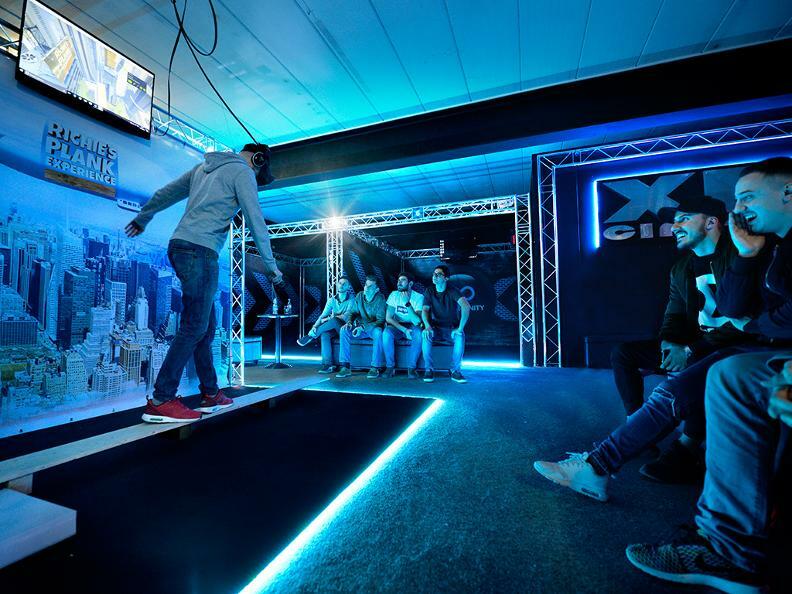 Put on your VR headset with built-in headphones, grab the controllers and dive into a fantastic virtual world with one of our 40 games: single or multiplayer, first person shooter games, educational experiences, virtual escape rooms, children's games, artistic experiences and much more. Try the most exciting virtual reality racing simulators on a motion platform that you have ever experienced. 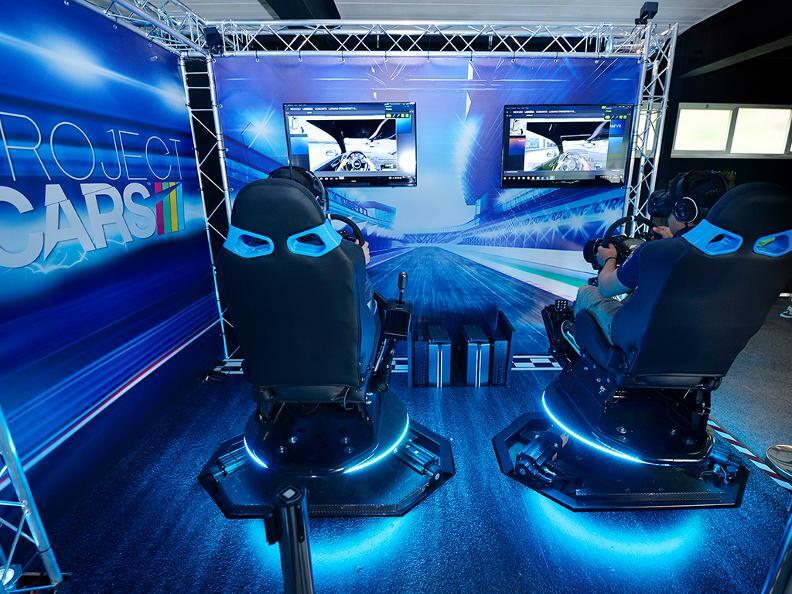 Choose the car and the track, put on the VR headset, grip the steering wheel and drive at full speed! Have you ever wondered what it feels like to walk on a bench suspended at 160m in height? Try our Vertigo Walk and you'll find out! To see it is a simple wooden plank, but once worn the virtual reality viewer nothing will be as it seemed! A thrilling experience! 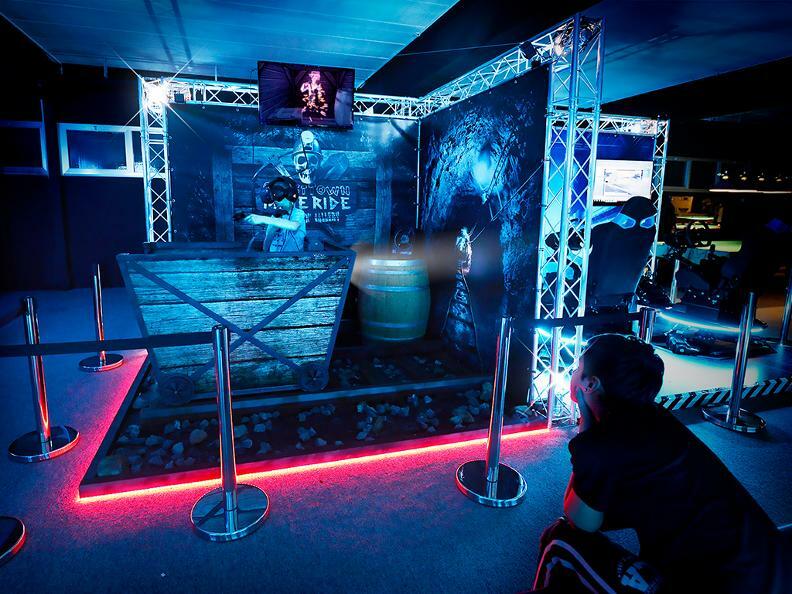 The mine cart is ready and your pistol is loaded – are you brave enough to confront zombies, skeletons, giant insects and cave-ins? Then climb aboard and let’s go! Movies have never been so engaging. Vibration, movement, special effects and tons of 4D movies to choose from. Sit down, fasten your seat belt, put on your 3D glasses and enjoy the most exciting 4D experience of your life!